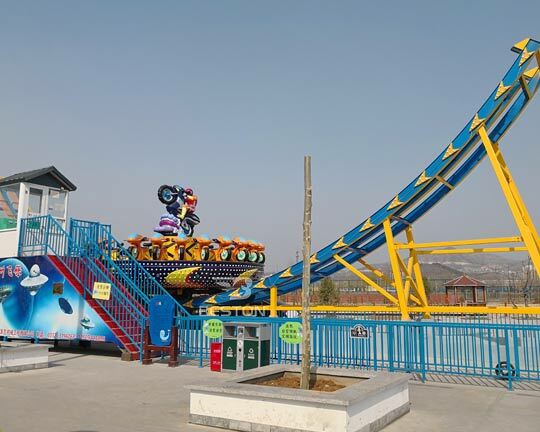 The Disco ride which has another names: flying UFO and magic bowl ride, is one kind of internationally popular rides and one of the most exciting amusement equipment. As for the Disco rides, there are six main component parts: track, turntable disc, stage, decoration part, safety device and electronic control unit. 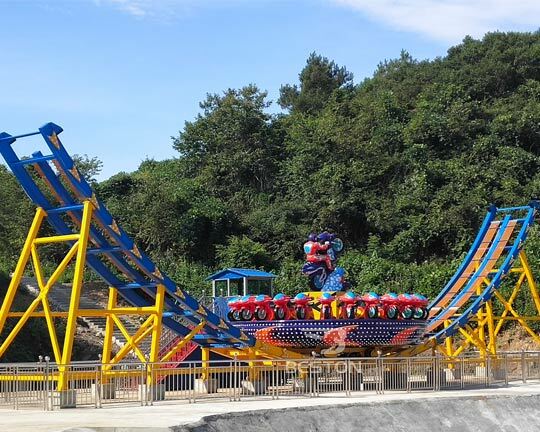 The main parts of the Disco ride are made of galvanized steel and fiberglass reinforced plastics(FRP) and the thickness of fiberglass is 5-8mm. 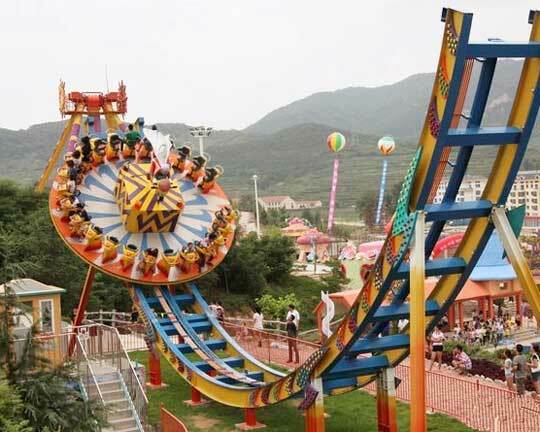 The track of the flying UFO amusement ride is half round and in the track, there is a round colored platform, around which there are 24 installed seats in total. And the seats with glass fiber reinforced plastic materials that has characteristics of environment production, safety, corrosion resistance, good stability, etc.. The flying UFO is also equipped with gorgeous lighting, wonderful music, Non-fading and durable painting. Therefore, the UFO amusement ride is preferred by children and many teenagers, especially Beston Disco ride for sale. The Disco rides can go up and down suddenly in operation, which just as if the ocean waves rises up and down. The turntable in the track can do reciprocating motion. At that time, the the flying UFO will rotate automatically. When riders are sitting in the Disco rides, they can feel like they are flying in the air. 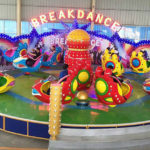 With the strong shock of disco music, riders will feel that they are just like a dancing note and also the UFO rotates together with the lighting changes, so it is exciting and makes the UFO a dazzling landscape in the amusement parks. The UFO amusement ride is suitable for the amusement park,children’s palace,life square,community and other flows densely populated places. 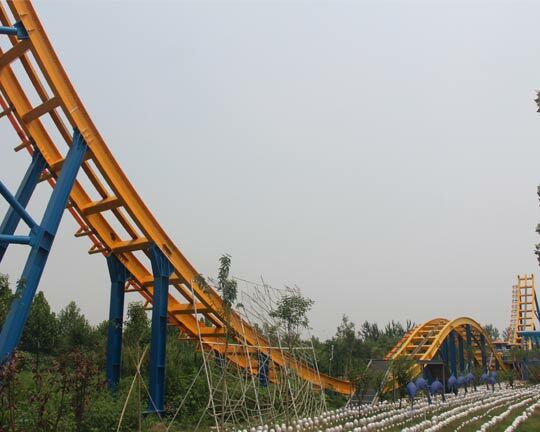 Why Customers Choose to Buy UFO Disco Coaster Rides in Beston? Small order acceptable (MOQ: one set). Excellent pre-sales and after-sales service: 24 hours service is available, Professional, Sincerity, Considerate & Responsible. We insist customer first, quality first. Delivery fast. Package: plastic foam & wooden box with iron frame. Professional technology, various in design and type, never fade color, and simple operation. Warmly welcome to visit our factory in your convenient time. Can be customized according to your requirements (color, size, capacity, style). Easy to INSTALL (provide install CD, drawing and products operation manual). Warranty: six months for electric section, one year for mechanical part. Where to buy the quality Disco Rides at reasonable prices? 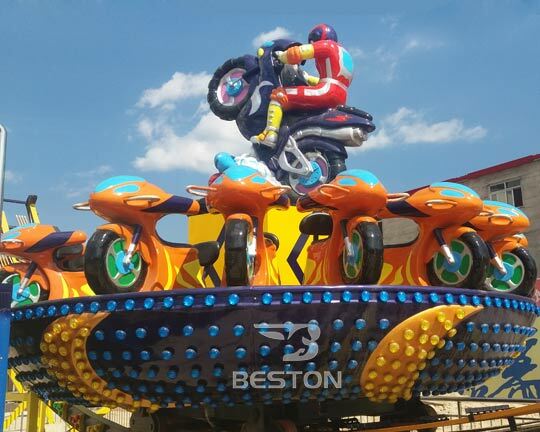 Beston, the professional amusement rides manufacturer, supplies high quality Disco ride for sale. 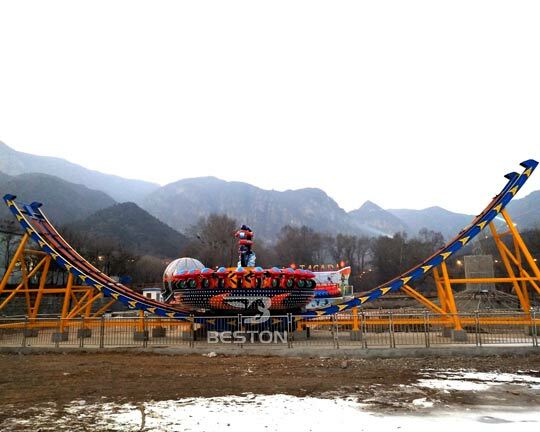 And Beston Disco rides have a compact design and smart appearance, which is the most welcomed amusement equipment. 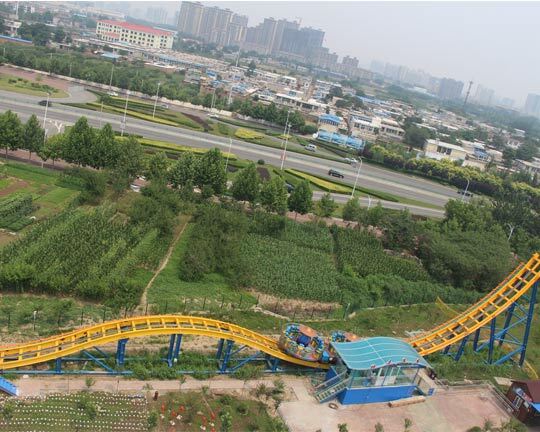 If you are interested in purchasing Beston amusement rides, contact us freely to get more detailed information. 1. Thrill rides: riders can not control their body and mind when they are flying on the Disco rides. 2. The innovative design and colorful painting bring riders more happiness. 3. High quality, environmental friendly and low maintenance: fiberglass reinforced plastics(FRP)and galvanized steel. 4. 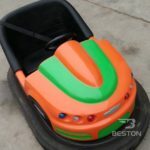 Beston Disco rides are popular among adults and teenagers and widely seen in amusement park, fairground, indoor and outdoor playground.